Certainly, if we want to improve educational outcomes in Oregon, as policymakers in our state hope to do, we need to tackle head-on the problem of poverty despite work. For Oregon families living in poverty, work is the rule, not the exception. This reality speaks to the need for state lawmakers to enact policies that boost the take-home pay of low-income working families. And one important step the 2019 Oregon Legislature can take in that direction is to significantly increase the state's Earned Income Tax Credit. Such a move would help some 300,000 families throughout Oregon, including 55,000 families in Multnomah County. The Oregon Center for Public Policy recently crunched the numbers on the share of families living in poverty despite their work effort. Our analysis revealed that the majority of Oregon families living in poverty have at least one working parent, and often that parent works full time. In 2017, more than two-thirds of Oregon families living below the federal poverty line had at least one parent who worked. A quarter had at least one parent working full time. Bear in mind, the federal poverty line is set at an unrealistically low level — just $20,420 for a family of three in 2017, for example. The federal poverty line understates the amount of income a family needs to actually get by. Even with that low threshold, families with a full-time worker often struggle to rise above it. The share of families in poverty despite having a full-time working parent — was higher in 2017 than in 2010, the year following the end of the Great Recession. This shows that economic growth and the availability of jobs alone are not enough to ensure that working families can cover the costs of housing and other essentials. Another distressing finding from our analysis is that having a parent who works is the norm for an Oregon child growing up in poverty. In 2017, about three of every four Oregon children growing up in poverty had at least one parent who worked. That bodes ill for these children and for our state. Decades of research have shown that stress caused by poverty during childhood can impact a child's cognitive development, physical health and earnings as an adult. Certainly, if we want to improve educational outcomes in Oregon — as policymakers in our state hope to do — we need to tackle head-on the problem of poverty despite work. An effective way to help low-income working families make ends meet is by increasing the state's Earned Income Tax Credit (EITC). This Oregon tax credit works just like the federal EITC, widely regarded as one of the most effective antipoverty tools. That proven track record is one of the reasons why the tax credit has long enjoyed widespread bipartisan support. The problem with Oregon's EITC is that it is too small. Right now, Oregon's tax credit amounts to just 8 percent of the federal tax credit, making it one of the smallest among the states that offer an EITC. Oregon lawmakers are expected to introduce legislation that would increase the Oregon EITC to 20 percent of the federal credit — a very good move to help families that struggle economically despite the fact that they work. Boosting the Oregon EITC would put more money in the pockets of low- and moderate-income working families struggling the most to pay the bills. It would help ease the economic stress that so many working families endure. Raising the EITC would be a big step forward in ensuring that all parents who work can support their families. Now is the time to advance policies that allow all Oregonians to live in dignity, with economic security. 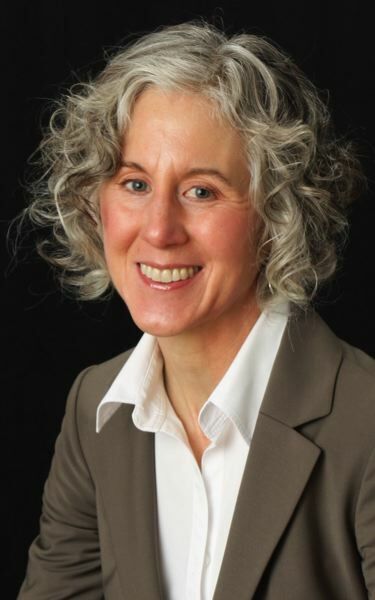 Janet Bauer is a policy analyst with the Oregon Center for Public Policy. Reach her and find out more at ocpp.org.